The arrival of the THGNT has provoked us to think afresh about matters we normally take for granted like orthography, paragraphing, and even punctuation. With that provocation in mind, I was interested to see this description in my newly-acquired NA26, the first NA edition, you may remember, to move away from Nestle’s tradition of following other critical editions. The system of paragraph divisions has been developed more extensively than before, and not simply for greater clarity. It is designed to aid the reader’s understanding of the writings by clarifying their structure, e.g., in the Gospels distinguishing the primitive units. The strophic printing of verse has been expanded, perhaps even too much at times but further revision is always possible. The same holds for punctuation, which seek to follow Greek usage in contrast to the earlier Nestle which was dominated by German usage, and The Greek New Testament where the influence is English. On Christmas Eve, the American news magazine 60 Minutes aired a good segment on the work of Father Columba and Father Najeeb Michaeel to save manuscripts in Northern Iraq. Father Columba runs the excellent Hill Museum & Manuscript Library. 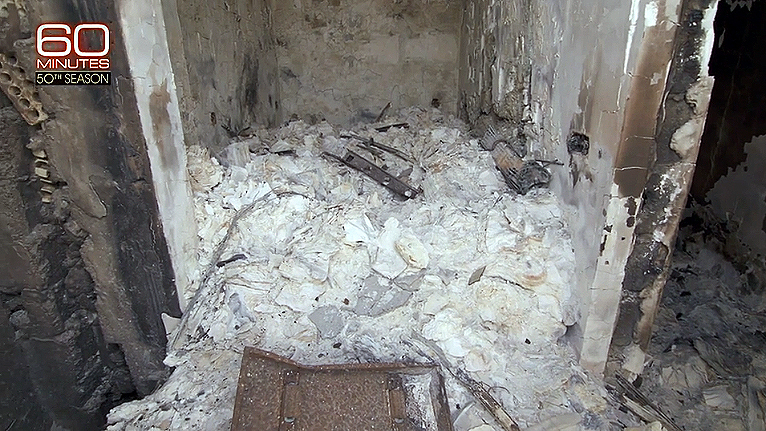 It is really sad to see the destruction left by ISIS—both material and human. You can read and watch the report here. Thankfully, you don’t have to have gold, Frankenstein, or myrrh to celebrate the birth of Jesus. To all our blog readers, merry Christmas and a happy 2018! The International Greek New Testament Project (IGNTP), established in 1948, is working towards major new editions of the Gospel according to John and the Pauline Epistles using the latest digital tools. 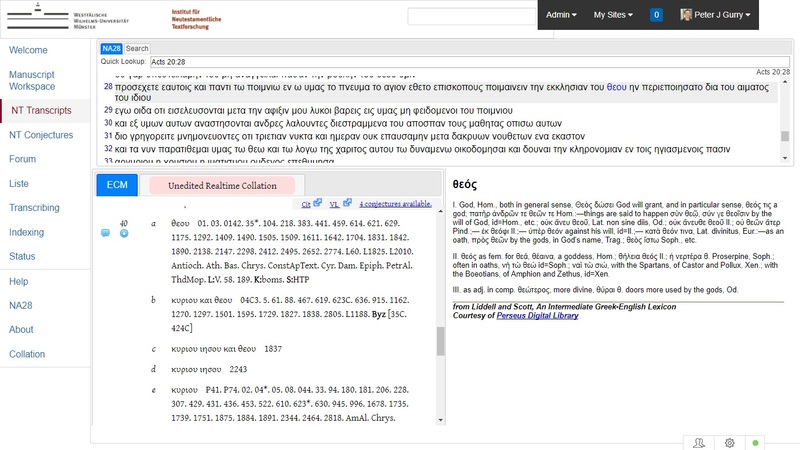 In a move towards making its data openly available, the IGNTP has now released 350 of its transcriptions of Greek New Testament manuscripts under the Creative Commons Attribution licence, meaning that these files are freely available for re-use. The transcriptions of John are available to view and download at the website www.iohannes.org/transcriptions. 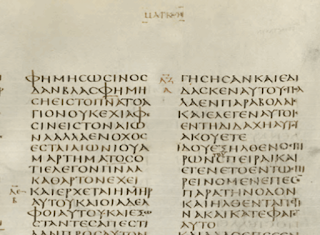 A companion site for the Pauline Epistles is at www.epistulae.org. In addition, further information and links to download multiple files are provided on the IGNTP’s own website at www.igntp.org. The transcriptions are encoded in XML and conform to the standards of the Text Encoding Initiative. 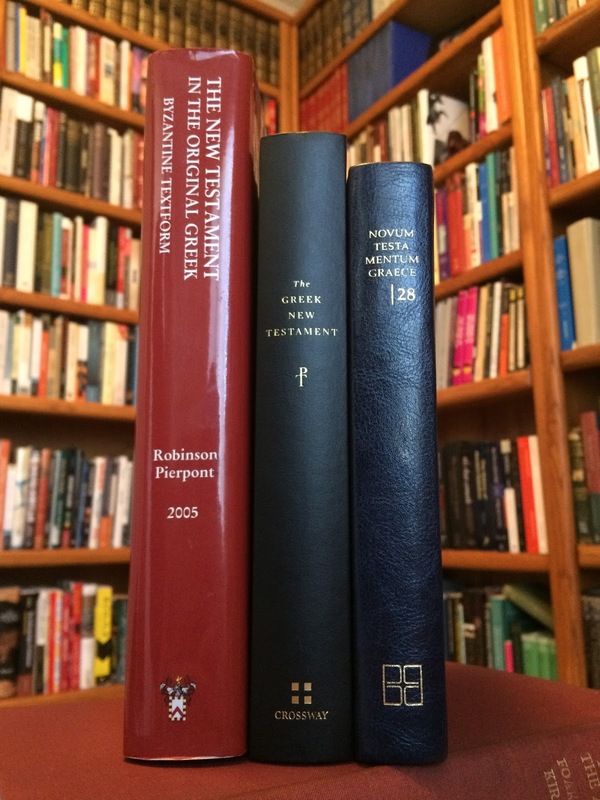 There is much rejoicing about the benefits of computer technology for the humanities in general and for New Testament textual criticism in particular. I too rejoice as I suspect you do. 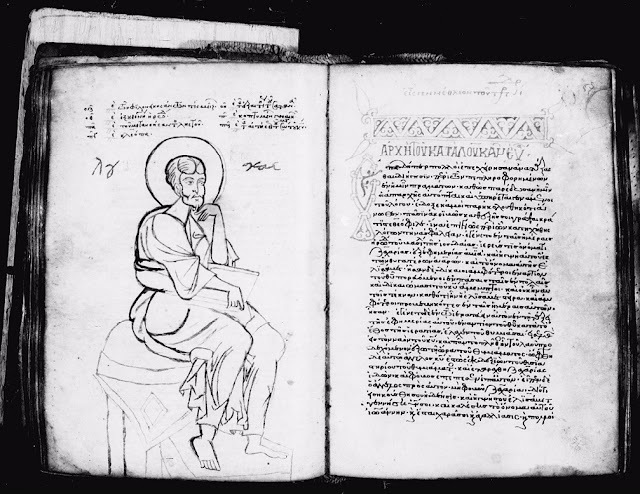 Who among us is not thrilled, for example, by the ease of access to so many manuscript images or by the wonderful NTVMR or by the fact that the texts of our modern Greek New Testaments are all freely available online? But here I want to sound a warning about computer technology. We all know how fast technology changes. Probably none of you have a flip phone any more or use floppy disks to save your work (although I know Maurice has some truly old school tech he still works with still). Technology changes rapidly, usually for the better. But therein lies the problem. Technology changes rapidly. That means that tools that were great five or ten years ago may be difficult or even impossible to use now. This is one of my fears about digital critical editions. The new digital ECM may be great now, but will it be great in ten years? Maybe, but how do we know? We can’t, because we don’t know the future. There is always talk of future-proofing our digital work. But let us be honest: that is a myth. When I worked on the CBGM, there were parts of the software for the Catholic Letters that only ran on Mac OS 9. What happens when the computer running that defunct operating system dies? Nor is the internet the solution. 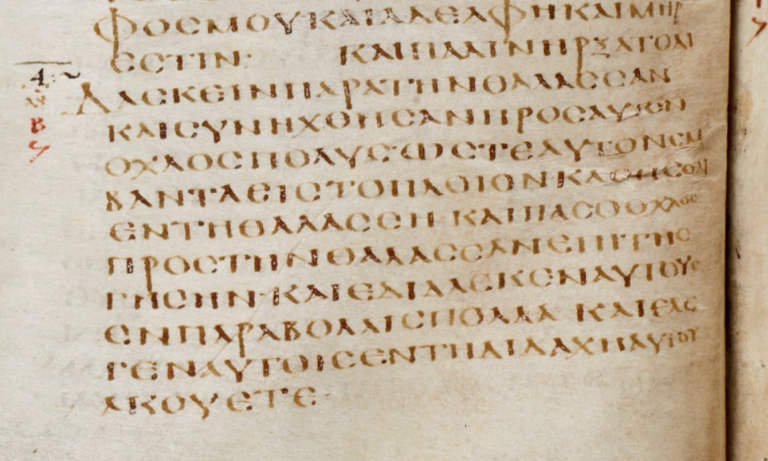 Look, for example, at the genuinely wonderful Codex Sinaiticus website. When it came out in 2008, it was the baddest manuscript viewer in town. You could zoom in and out, switch to raking lighting, and even select words from the transcription and watch them be highlighted right there in the image—it was great. And most of it still is great. But when I use the site in Chrome now, look at what happens. The zoom function does not even show up. I have to move my mouse around until it turns into a hand and then I have to guess how far I am zooming in because there is no visual measurement. Things are better in Microsoft’s Edge browser, but still a little off. Compare this to Tischendorf’s facsimile of 01 which, as a technology, works just as well today as it did on the day it came off the press in 1863. Obviously, the website for 01 has major advantages over Tischendorf’s facsimile. There is no question about that. But that is not my point. My point is that the usability of Tischendorf’s edition has aged less in 150 years than the Sinaiticus website has in 15! 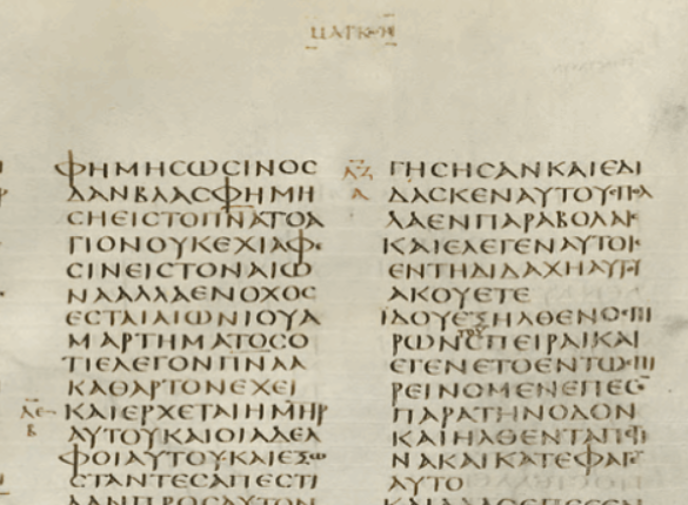 Will the Sinaiticus website work at all in 30 years? 50? 100? Who knows. What I do know from designing websites for the last 17 years is that there is no way to guarantee that a site built today will still be usable in 10 or 15 years. And usually, the more bells and whistles a site has when it’s built, the worse it ages. Part of this is a matter of funding. It is easier to fund an exciting new digital project than to maintain or update an old, flagging one. But I do not see that changing any time soon. So the problem remains and it is serious one we all need to think more about in our mad dash to digitally revolutionize our discipline. Are there still things that are better in analog than digital? If so, what are they? Are there things that can be done digitally but shouldn’t be? How can we ensure that our best digital work is still accessible in 100 years time? These are just some of the questions we need to ask ourselves. 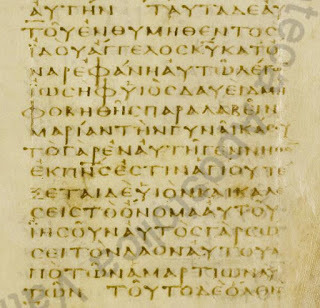 In a recent publication on the nomina sacra in Mark in Vaticanus (see here) Peter Malik notices that there are only five places in the New Testament portion of Codex Vaticanus where Ἰησοῦς is not contracted. Two of these are the interesting (emphatic?) vocatives of Mark 1.24 and 5.7 (although not in the Lukan parallels or vocatives generally); two others are references to other people: Jesus son of Eliezer (Luke 3.29) and Jesus Justus (Col 4.11) (which is very sensible and careful); and the other one is Matt 1.21: τέξεται δὲ υἱόν, καὶ καλέσεις τὸ ὄνομα αὐτοῦ Ἰησοῦν· αὐτὸς γὰρ σώσει τὸν λαὸν αὐτοῦ ἀπὸ τῶν ἁμαρτιῶν αὐτῶν. (NA from BW9). Malik is inclined to explain this anomaly on practical lines related to word division at the end of the line. Clearly this is a very important subject, but I didn’t see its particular relevance in this instance. When the contraction is the default, then exceptions might be signally something different, something important, especially when read at this time of the year. The climax of Matthew’s (exceedingly brief) birth narrative involves the juxtaposition of the two names that he will be given: Jesus (v. 21) - the name given by Joseph in his act of accepting Jesus into the Davidic line; and Emmanuel (2.23) - the name given by his people. Both of these are of central importance for Matthew, and for all his people (especially, but not only, at Christmas time): he will ‘save his people from their sins’ and he will be ‘God with us’. Wishing all our readers are very happy Christmas holiday season. Some of my students brought this video to my attention yesterday. It is James White, a well-known apologist and debater in the States, discussing the CBGM on his show The Dividing Line. Starting at about the 19:19 mark (video below), he mentions the Text und Textwert volumes, the difficulty of grasping the CBGM, the new THGNT as a kind of methodological push back against the CBGM, the correct (longer) reading at Mark 1.1, James Royse and singular readings, his own dissertation on P45, and some of the apologetic value of the CBGM and its data. He covers quite a bit. Along the way, he says that the primary problem of the CBGM for most people is still the basic one of understanding it. I think he’s right about this and I have obviously been working to remedy that problem in my writing. But there is more work to be done, especially in explaining the method to pastors and laypeople. I will keep trying and, in the meantime, I say kudos to White for his efforts to understand the CBGM and explain it to his audience. For an “unanticipated” discussion of the method, he does a pretty good job describing it. May his tribe increase. I’ve been doing some work in the last couple of days on my SBL paper (‘Epistolary Secretarial Greetings in the Documentary Papyri and the Greeting from Tertius in Romans 16.22’*) so that I can submit it for print publication. Most of the paper is papyrological and epistolographical, but there is some textual criticism here and there in the footnotes. One of those footnotes concerns Hugo Grotius and a conjecture he made about Romans 16 verse 22: Ἀσπάζομαι ὑμᾶς ἐγὼ Τέρτιος ὁ γράψας τὴν ἐπιστολὴν ἐν κυρίῳ. Anyway, if you go to NTVMR and then enter NT Conjectures you can enter Romans 16.22 and get a load of results (six in total: four involving transpositions of different amounts of text of which v. 22 is a part). The one I’m interested in is cj10315 (here is a link that will take you straight there). You can tell at a glance that Grotius conjectured a text lacking Rom 16.22 in 1645 and that this idea was taken up and discussed between 1866 and 1898 (the golden age of conjectures? ), and has not been much discussed since then. This you can tell at a glance, but if you start clicking on the little blue i symbols [like this: 🔁, but with a little white i inside], you can get access to complete bibliographical details and citations of the original points. 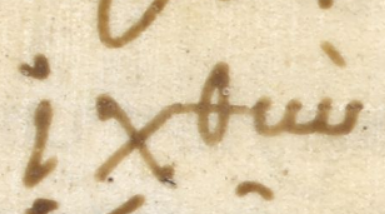 From all that information we can discover that Hugo Grotius suggested that Tertius’ greeting to the Roman believers was a marginal comment to the original letter incorporated into the archetype of Romans by a copyist (reference: Hugo Grotius, Annotationum in Novum Testamentum, tomus secundus (Annotationes in Acta Apostolorum et epistolas apostolicas) (Paris: Pelé, 11646), 336–337). that even if we adopted Grotius’ conjecture we would still think of Tertius’ greeting as a part of the original communication between Paul and the believers in Rome. 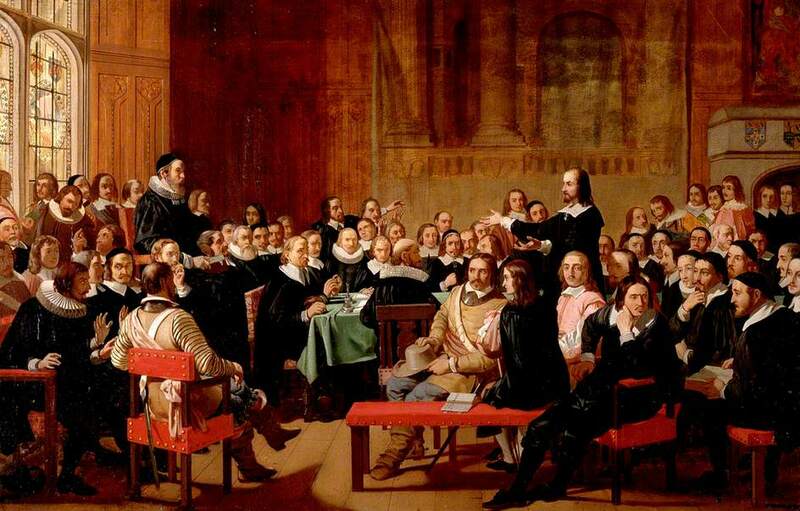 Back when I had time for such things, I did a bit of digging into how early Protestant theologians viewed the role of the autographs in their doctrine of Scripture. For Evangelicals, the qualification that the Biblical text is inerrant in the autographs (or on them, if you prefer) is standard. But was it always so? My interest in this question was piqued by reading Theodore Letis who claims that this appeal to the inspiration and inerrancy of the autographic text originates with Charles Hodge and B. B. Warfield. For Letis, “one of the historical ironies of this development [by Hodge and Warfield] is the inescapable loss of awe and reverence for the existential Bible as sacred text in confessing communities and in the culture at large” (The Ecclesiastical Text, p. 58 n. 33). In other words, there is a loss in that the Sacred text lies in the past rather than right here in my hands. Should we preach and teach the story of the woman caught in adultery? 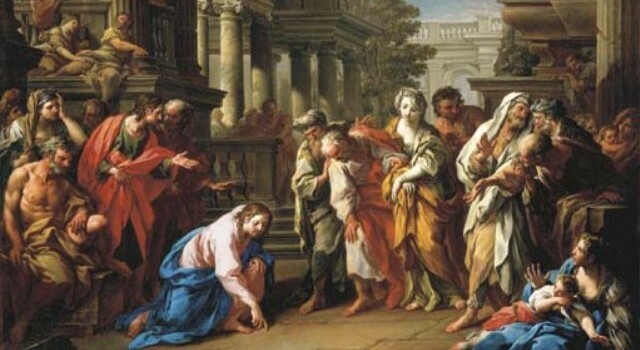 If the story of the woman caught in adultery in John 7.53–8.11 is not original to the fourth Gospel, as I think, does it follow that it should not be used as Scripture? The same question confronts us with the Longer Ending of Mark, a text which, as I have said before, I think is not original but should be preached as Scripture. Is the PA [Pericope Adulterae] original to John’s Gospel or is it a later interpolation? Should it be proscribed or proclaimed? My short answer to the first question is: Yes, I think it is an interpolation as I have argued in this essay. This, however, does not automatically lead to a negative answer to the second question, namely that this passage should be proscribed rather than proclaimed. I regard the story as an authentic Jesus tradition, which has been highly treasured by the Church from a very early stage. I hope it continues to be told and proclaimed, but at the same time, I think it is proper to signal to modern readers of John that the passage (at its present location) is a suspect interpolation. This is from Tommy Wasserman, “The Strange Case of the Missing Adulteress,” in The Pericope of the Adulteress in Contemporary Research, ed. David A. Black and Jacob Cerone, LNTS 551 (London: Bloomsbury T&T Clark), 63, which is a very helpful volume on the subject. It includes articles that defend the pericope’s originality and articles, like Tommy’s, that don’t. What say you, O blog readers? If the pericope is not original, should we still preach and teach it? Should we derive theology from it? Or should it be rejected as a wonderful, extra-Biblical story without authority for us? There’s been quite a lot of press excitement about Pope Francis wanting to change the translation of Lord’s Prayer (The Telegraph, The Times, etc.). It wasn’t easy to find the original interview online. Therefore I thought it would be good to present the short video clip here. I hesitate to transliterate since I think that sometimes his words are not clear even to a native Italian speaker. All the early translations of the Lord’s Prayer I checked had an active equivalent. I guess the Pope is expressing the usual concern that the masses may misunderstand unless the clerics do the work of interpretation for them. 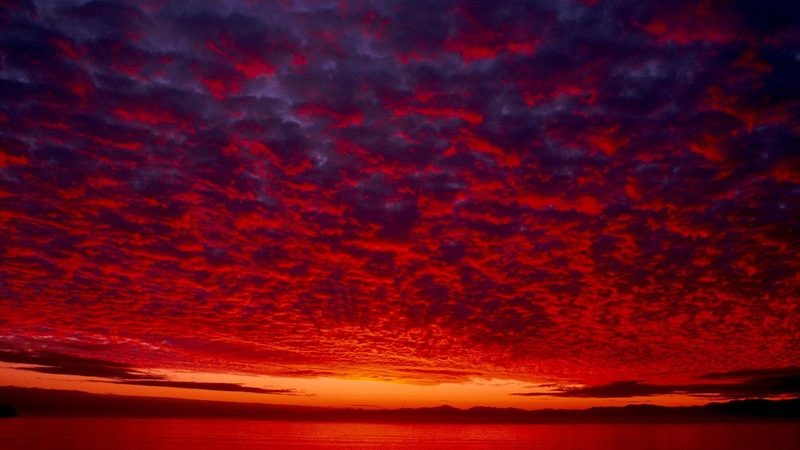 Red skies in Matt 16.2–3: original or not? What do folks think about the long variant in Matt 16.2–3? NA28 along with Tischendorf and WH have it in brackets. SBLGNT, THGNT (and Tregelles), and RP include it. UBS4 gives it a “C” rating. Καὶ προσελθόντες οἱ Φαρισαῖοι καὶ Σαδδουκαῖοι πειράζοντες ἐπηρώτησαν αὐτὸν σημεῖον ἐκ τοῦ οὐρανοῦ ἐπιδεῖξαι αὐτοῖς. 2 ὁ δὲ ἀποκριθεὶς εἶπεν αὐτοῖς· [ὀψίας γενομένης λέγετε· εὐδία, πυρράζει γὰρ ὁ οὐρανός· 3 καὶ πρωΐ· σήμερον χειμών, πυρράζει γὰρ στυγνάζων ὁ οὐρανός. τὸ μὲν πρόσωπον τοῦ οὐρανοῦ γινώσκετε διακρίνειν, τὰ δὲ σημεῖα τῶν καιρῶν οὐ δύνασθε;] 4 γενεὰ πονηρὰ καὶ μοιχαλὶς σημεῖον ἐπιζητεῖ, καὶ σημεῖον οὐ δοθήσεται αὐτῇ εἰ μὴ τὸ σημεῖον Ἰωνᾶ. καὶ καταλιπὼν αὐτοὺς ἀπῆλθεν. Westcott and Hort write that “both documentary evidence and the impossibility of accounting for omission prove these words to be no part of the text of Mt. They can hardly have been an altered repetition of the || in Lc 12.54, 55, but were apparently derived from an extraneous source, written or oral, and inserted in the Western text at a very early time” (Appendix, p. 13). Without the disputed text, the text flows quite naturally from the question to the direct answer. France thinks the switch from second to third person between vv. 3 and 4 also makes the disputed text “seem out of place” (604 n. 1), but I’m not so sure about that. According to Metzger (Commentary, p. 33), Scrivener and Lagrange argue that scribes removed the text because they lived in climates like Egypt where the meteorological observation doesn’t work. Even if true, this seems like special pleading. If it’s not original, where did it come from? The audio from my and Elijah Hixson’s special session at ETS a week or so ago is now online. The session was titled “Growing Up in the Ehrman Era: Retrospect and Prospect on Our Text-Critical Apologetic.” The first part of the session was given to several presentations drawn from chapters that will be in a book we are editing; the second part was a panel discussion featuring Dan Wallace, Timothy Paul Jones, Michael Kruger, Charles Hill, Peter Head, and Pete Williams. For more details on the session (and the book), see the original announcement here. From our perspective as conveners, the session was a real success. The room was packed—we did try to get a bigger room—and there was helpful feedback both from our panelists and from the audience which included not only many apologists but also several unexpected special guests all the way from Münster. My thanks to all our presenters and especially our “mature” panelists. For those who couldn’t make it, the audio files are $4.00/each. I haven’t listened to them yet myself so I don’t know how the quality is. 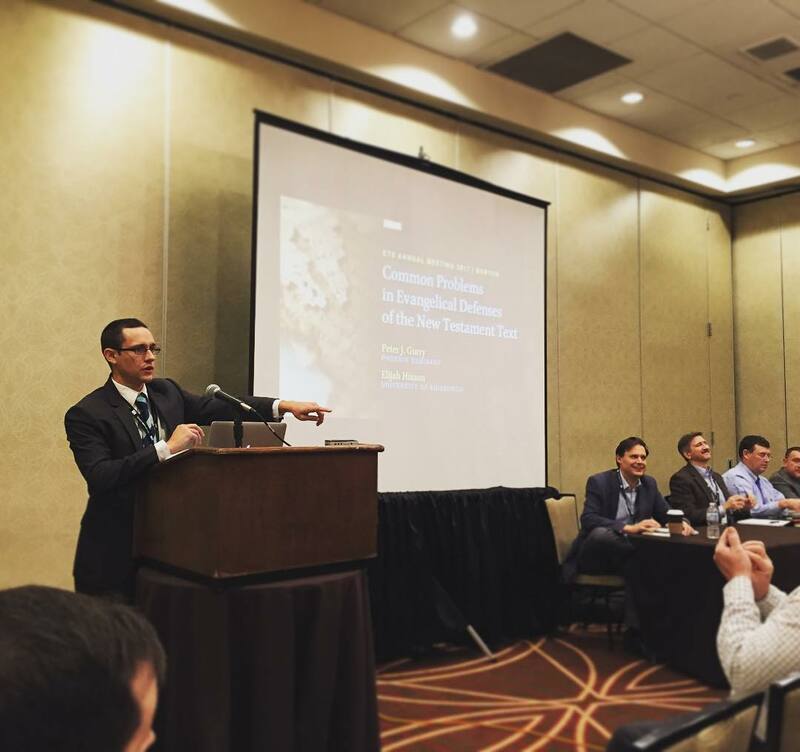 At SBL this week, Elijah Hixson presented his discovery of lost text in Codex Bezae. 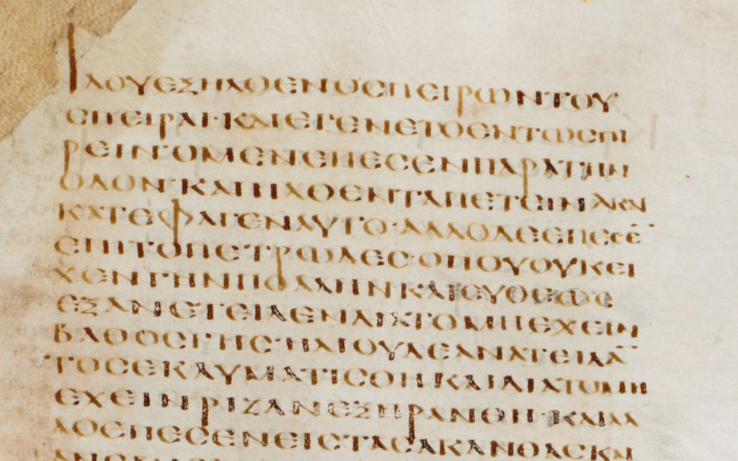 The full research is forthcoming in New Testament Studies, but you can read about how Elijah found the missing text at the Cambridge special collections blog. Here’s a snippet explaining how Elijah made the discovery. Samuel P. Tregelles noted that although there was no visible writing [in Gregory-Aland 33/Paris, Bibliothèque nationale de France, gr. 14) where there should have been, the text was not completely lost. It was just in the wrong place: on the opposite page, backwards. The damp storage conditions had caused the pages to stick together. When they were pulled apart, the ink often adhered to the facing page. The same phenomenon occurs in Codex Bezae. In at least one place, a few letters from the Greek side have stuck – backwards – to the facing page of Latin text. What is significant, however, is that in this one place, the Greek page was subsequently lost. 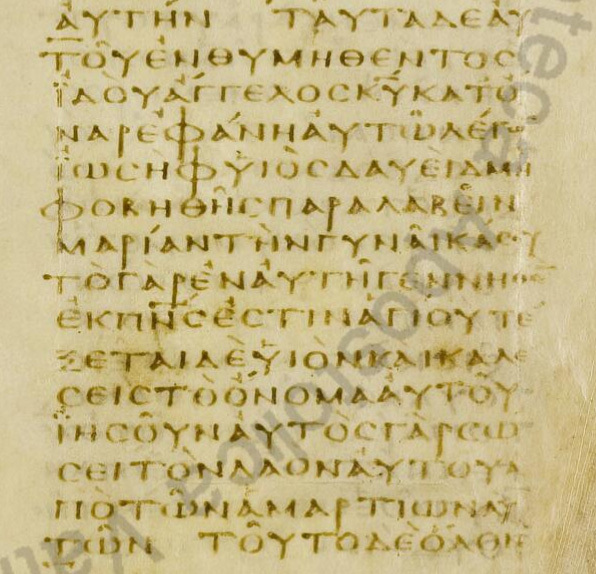 We have no record of what this page looked like or what Greek text it contained. 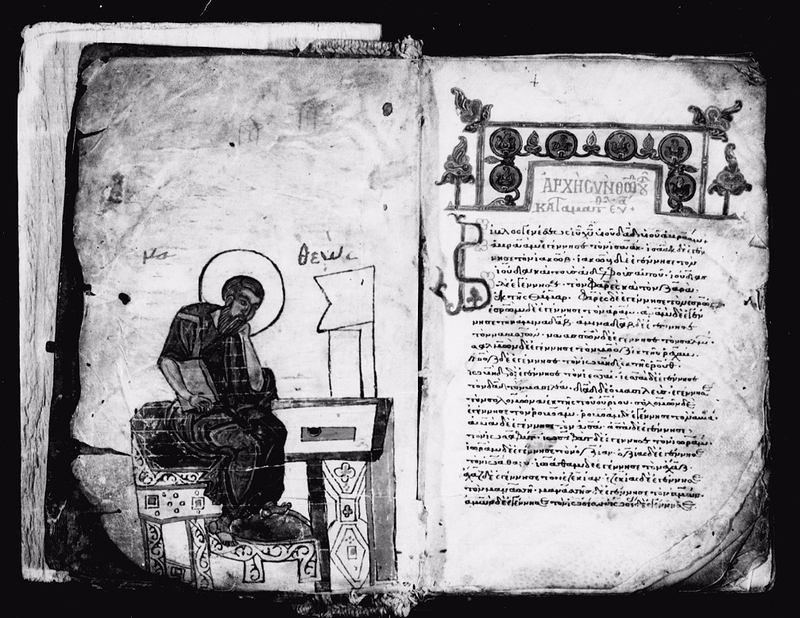 Thanks to the wonderful images of Codex Bezae on the Cambridge University Digital Library, it is possible to work with the images in photo-editing software to recover some of the lost text. Fantastic work on this, Elijah. As he said in his paper, even the most studied manuscripts still have secrets to reveal to those willing to look carefully enough. And happy Thanksgiving to all our American readers! Crossway has produced a nice video with Pete and Dirk introducing and explaining the new Tyndale House edition of the Greek New Testament. Last night in Boston many of us experienced an eschatological moment, as Holger Strutwolf called it, when he officially launched the digital ECM for Acts. This is the culmination of much work and means that the ECM is now both print and digital. The new digital edition can be accessed at http://ntvmr.uni-muenster.de/nt-transcripts. If you’re familiar with the ECM, the layout will be familiar. There are features in the interface for commenting on the variant unit and a link that will take you to the local stemma and coherence modules for said variant unit. There is also an option to see the unedited collation data, a list of patristic citations (fuller than in the print edition as I understand it), the Vetus Latina collations, and a nice feature which tells you how many conjectures have been offered for the variant unit and a link that will take you to the data in the Amsterdam Database of New Testament Conjectural Emendation. One thing the online edition does not have is the material in parts 2 and 3 of the ECM Acts which cover supplementary material and the special studies. The exception to that is that Klaus Wachtel’s textual commentary is included (where available) when you click on the comment button for a variant unit. Well done to Holger and the team! 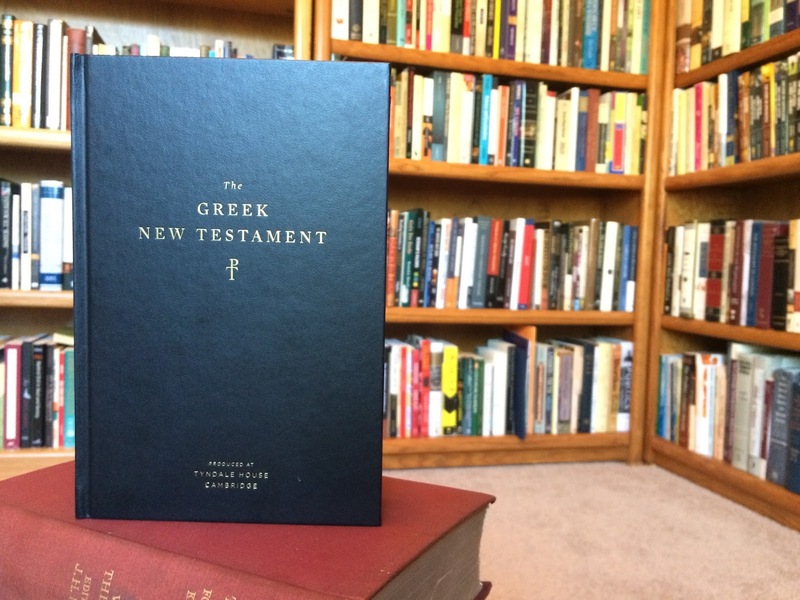 Dan Wallace, Larry Hurtado, James Snapp, Todd Scacewater, and Brice Jones have all given us their first impressions on the Tyndale House Greek New Testament (THGNT) and, since I have now had some time to look over my gratis copy, I thought I would share some of mine. Since I was able to see the final stages of the edition up close and personal, I cannot feign neutrality—I am an unashamed supporter of the effort, the editors, and (mostly) of the results. For what they’re worth, here are some of my initial reflections on the edition. The most important distinctive of the edition is its documentary approach which aims to follow early manuscripts as much as was feasible. This is most obvious in the paragraphing and the textual choices but also in more subtle details of orthography. In terms of establishing the text, this approach means that only readings attested by at least two witnesses are printed and one of them (except in Revelation) must be from before the sixth century (p. 506). Within this documentary constraint, the editors gave special weight to matters of scribal tendencies. Where a variant could be explained transcriptionally, it was and was thereby set aside. The strict constraint bears some unexpected similarity to the Byzantine priority method of Maurice Robinson and William Pierpont. The difference is that here early external evidence sets the boundaries whereas in the Byzantine priority approach, late evidence plays that distinctive role. The result is that neither method is open to rejecting their take on external evidence where the internal evidence strongly goes against it. For examples, consider ὀνόματι vs. μέρει in 1 Pet 4.16 in THGNT and ἐπηγγείλατο vs. ἐπηγγείλατο ὁ κύριος in Jas 1.12 for Robinson-Pierpont. In both cases, strong internal evidence gives way to the editors’ external constraints. just slightly taller than NA28. The editors passed on printing nomina sacra in the main text though they do occasionally show up in the apparatus (e.g., Rom 8.34). This was because there was not time for a systematic review. While the nomina sacra would trip up beginning Greek readers, I think they would be great to have a in a printed edition. The trick, of course, will be deciding which nomina sacra to use and where. But its the same issue that faced the editors with the next matter of formatting so, I suppose, there is cause for hope for the future. The paragraphing too has been drawn from the early manuscripts as much as possible. The editors only present a new paragraph where such is found in at least two pre-sixth-century manuscripts. Unfortunately, it is not clear from the edition itself which manuscripts these come from in any given case. How did the editors decide when two such manuscripts disagreed with two others? We are not told. This problem aside, I find the paragraphing to be one of my favorite features of the new edition. The amount of paragraphing is really quite surprising, especially in the Gospels. But even outside, the breaks will surprise many of us who are accustomed to reading, say, Romans in a certain way (note, for example, the non-break at Rom 3.21). One curiosity on this front is how often the THGNT’s paragraphs match the versification. So far, I’ve only spotted a small handful of places where a new paragraph does not line up with a new verse (e.g., Gal 4.12b). Orthography is another major area of distinction as far as presentation goes (see Pete’s various posts). Much effort has clearly gone into matters of spelling here, so much that I think it is safe to say that no edition since WH has done more. Certainly, none that I can think of has been more transparent about it. Capitalization is kept to a minimum such that even χριστος is given a lowercase. However, I do question the decision to use uppercase letters at the start of paragraphs. Would doing otherwise really be a “stumbling block” (p. 511) to readers? I would think that the other changes introduced to the paragraphing (their frequency and ekthesis) are different enough, that it would be a small thing to also give way to the habit of capitalizing them too. There is also no distinction given to text cited from the Old Testament. I must say, this is one place I wish the edition had followed the early manuscripts more than it does. It seems to me that this is a perfect place to introduce the common use of the diple symbol to mark such quotations. Couldn’t that be handled in the same way as paragraphing? Perhaps something else for a 2nd edition. The apparatus is small and unencumbered. I cannot say I am happy that the versional evidence was excluded or that it seems to have played such a minor role in the editorial decisions (p. 507). But one thing I really like about the apparatus is that it gives much more detail about legibility. For instance, P75 is not merely marked with “vid” at John 13.10, but what appears to be in P75 is also listed as νι[ψ]α̣σ̣θ̣αι. This extra detail is quite nice to have in an appratus. The order of books is a pleasant change. The editors have printed the Catholic Letters before Paul’s but have placed Hebrews at the end of the latter section. I am happy to see from the ECM for Acts that it too is moving this direction. Perhaps the NA29/UBS6 will adopt the same? The type used in printing Greek New Testaments is one of my pet interests and I was very pleased with the use of Adobe Text here. Some letter shapes (like alpha) grate just slightly but, on the whole, it is a clean, crisp face that is a pleasure to read. I should confess that I campaigned several times for the use of Porson Greek given its Cambridge roots. But, alas, I failed to convince. Mostly I am just glad they did not settle for Times New Roman’s Greek. Unfortunately, it seems impossible to avoid Times New Roman altogether and here it managed to sneak itself into the edition in the book titles and the running heads. With only a few exceptions, the THGNT is set in Adobe Type throughout. 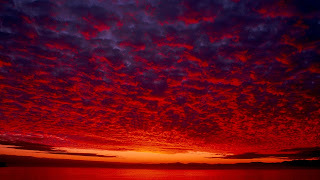 Romans 16:5 Ἐπαινετὸν τὸν ἀγαπητόν μου not Ἐπαίνετον τὸν ἀγαπητόν μου. Matthew 7:10 ἰχθῦν αἰτήσει not ἰχθὺν αἰτήσει (of course this affects the nominative and accusative singular of ἰχθῦς and ὀσφῦς elsewhere). In this it was isolated, so we didn’t follow it in the THGNT. Minuscules tended to replace circumflexes with acutes and graves. This is but a grammatical trifle, but we had fun discussing it in preparing the THGNT and learning from Patrick James, who is, according to Dirk Jongkind the only person he knows who truly knows ancient Greek. With thanks once more to CSNTM and the Vatican Library for images. In the Greek New Testament, Produced at Tyndale House, Cambridge (THGNT) we made the decision to begin the Parable of the Sower in Mark’s gospel with the second, not the first, word of Jesus’s speech. 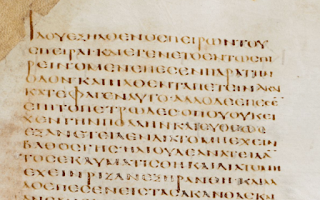 In Mark 4:3 we have ἀκούετε ‘listen’ and then a new paragraph beginning Ἰδοὺ ἐξῆλθεν ὁ σπείρων σπεῖραι· ‘Behold the sower went out to sow’. I don’t know that we could reasonably have done anything else. To make the point, I’ll just paste a series of pictures of manuscripts below with brief comments. 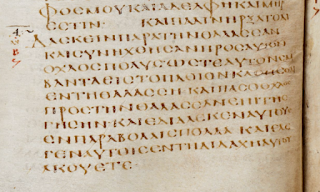 Vaticanus, fourth century, marks the new paragraph with the paragraphos above ιδου (credit Vatican Library). Sinaiticus, fourth century, leaves space to the end of the line after ακουετε and has ekthesis before ιδου (credit British Library). Alexandrinus, fifth century, ends the column with ακουετε and begins a new page with ιδου beginning with a littera notabilior (credit British Library). Codex Bezae, fifth century, ends a line with ακουετε when there’s plenty of space for more. It then has ekthesis with ιδου (credit Cambridge University Library). 1424, 9th-10th century, is included here as illustrative of a later manuscript. There’s now a gap before ακουετε and another between ακουετε and ιδου. It’s a sort of intermediate form evolving from the earlier pattern of paragraphing to the more recent system of having the main break before ακουετε (credit CSNTM.org). Of course the beauty of the old system, restored now in the THGNT, is that it separates the command to use one’s hearing from the command to use one’s imagination (or mind’s eye). 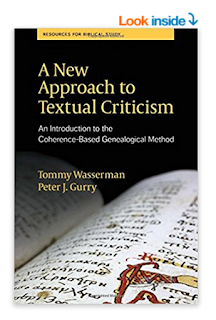 The SBL has just launched their annual meeting book sale for SBL members, and even our new book, A New Approach to Textual Criticism is included. The discount price is $13.97 for the paperback (−30%) and $24.47 (−40%) for the hardback (I recommend the latter). To receive the discount, download the order form here and follow the instructions on the last page. The discount price for SBL members is of course also valid at the meeting in Boston which starts next week. At the meeting, Peter and I will be happy to sign the book for anyone who wishes. The easiest way is to ask us after any NTTC session. This book provides a concise and intelligent overview of the Coherence-Based Genealogical Method (CBGM). 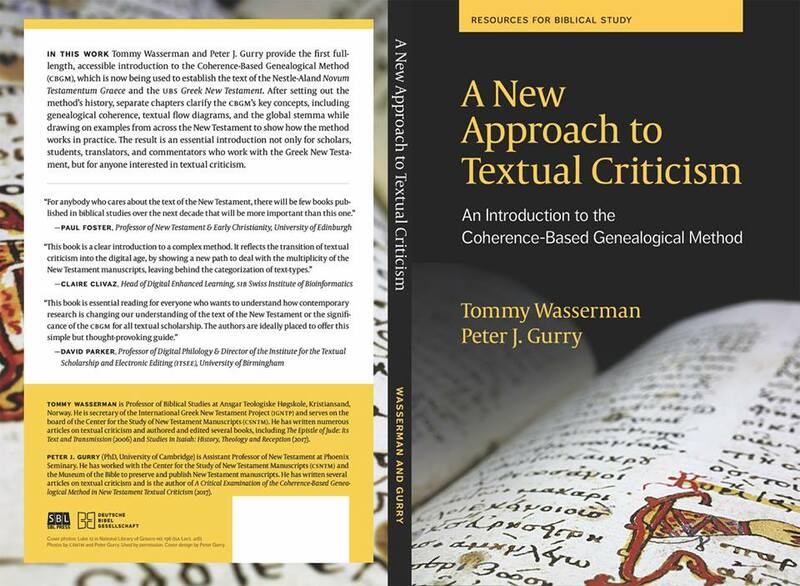 While Wasserman and Gurry’s chosen topic may sound esoteric and inaccessible, the CBGM has become a foundational tool for establishing the text of the Greek New Testament (GNT). Anyone preaching or teaching is using some text; therefore, the methodology for establishing the text is paramount. Every pastor and scholar working with the GNT will benefit from reading this important work. The stated intent of this book is to introduce beginning students and trained scholars to the CBGM—and it certainly meets that goal. Admittedly, some chapters may require rereading, but the content and presentation are excellent. In fact, the material is presented in a fresh and readable manner (it only took me two days of casual reading to get through it) and the content is fascinating. It is a scholarly and even sometimes entertaining resource. Helpful examples abound, the footnotes are excellent and often point the reader to key sources for further reading, key terms are explained clearly, and the glossary is a bonus. Regarding presentation, unfortunately the actual printing of this book isn’t the best. Some of the letters lack sharpness and ink. Some of the figures are tough to make out too (4.2 and those in the appendix are very poor). At the same time, the abundance of figures and tables are most welcome and contribute greatly to assisting the reader’s understanding of the material. Only two typos stood out: an unwelcome capitalized word on p. 40 and an oversized superscripted “20” on p. 46. Additionally, BDAG and LSJ were omitted from the list of abbreviations. 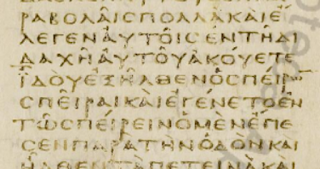 It is from this opening line that many think the use of εὐαγγελιον to refer to a written narrative of Jesus developed. Hence we find εὐαγγέλιον κτλ. as the title for each of our canonical Gospels. I wonder if Mark’s opening might also explain why we find κατά in the titles. The use of κατά to delineate authorship is, after all, somewhat unusual given that the simple genitive would do just fine. But, given Mark’s opening line, perhaps κατά was needed to distinguish the author of the narrative (e.g., εὐαγγέλιον κατὰ μαρκον) from its main subject (εὐαγγέλιον Ἰησοῦ Χριστοῦ; cf. Hengel, Johannine Question, 193 n. 3). In any case, if we assume Mark wrote first, his opening effectively serves as the “beginning” of the gospel in multiple senses. 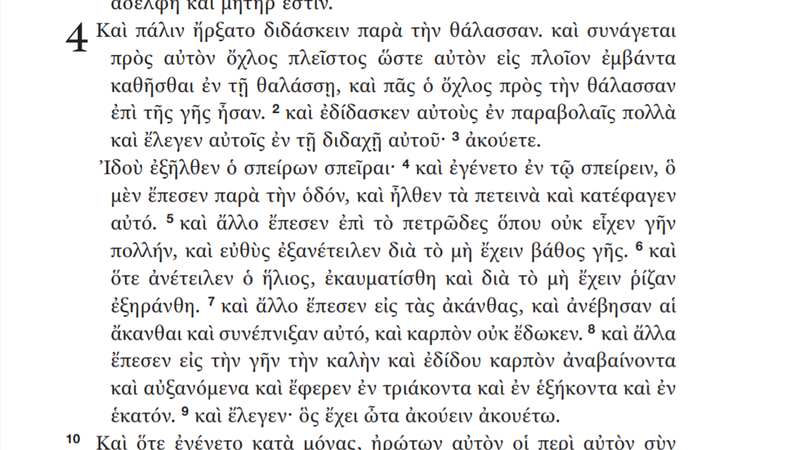 What is interesting is that minuscule 1241 adopts Mark’s language for the actual τιτλοι for both Matt and Luke. Both are titled ἀρχὴ (σῦν θεῷ) τοῦ κατὰ ... εὐαγγελιοῦ. Mark and John, on the other hand, are not so titled in this manuscript, I assume because both already have ἀρχή in their opening sentence. 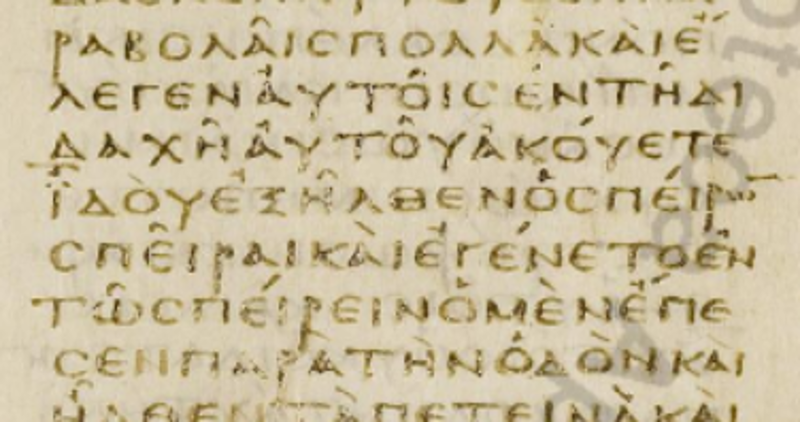 Interestingly, Acts also is titled “the beginning (ἀρχή ) of...” such that Mark’s influence is felt on all five of the canonical New Testament narratives in this manuscript. 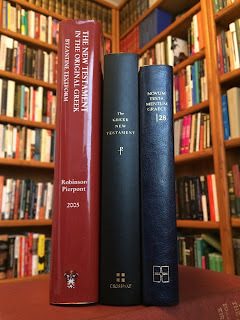 (The other books in 1241 do not have ἀρχή in the titles.) This is just one of the many ways that actually looking at manuscripts can get us thinking more about the text—both its original meaning and its later influence. Both NA27 and the Aland Synopsis list pc or al with these Gospel titles, but I have not been able to track these others down yet. Last year we started a new tradition with an ETC lunch at ETS (Evangelical Theological Society). It was good fun so I thought we should do it again. This is especially for those who can’t attend SBL and our famed annual dinner. It’s a good time to eat cheap American fast food and discuss textual criticism—what could be better? This year we will plan to meet on Friday, November 17th at 11:15 am in the lobby of the Rhode Island Convention Center. From there we will head over to the Providence Place food court. Sadly, there is no Whataburger there. But, as a slight consolation, Pete Head should be joining us this time around. After lunch you can make your way over to Omni Providence room I for our special session on TC and Evangelical apologetics and hear from three of the five ETC Petes. All are welcome! Do leave a comment if you plan to come so that you won’t get left behind (and I don’t mean in the dispensationalist sense). 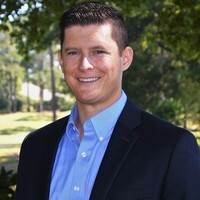 Today I’m happy to introduce a guest post from Brian J. Wright who is currently an adjunct professor at Palm Beach Atlantic University and New Orleans Baptist Theological Seminary. He has a forthcoming book on communal reading published by Fortress. I heard Brian present some of his research at ETS last year and thought our blog readers would be interested in his work. I’ve been a follower of this blog for over a decade, and have benefited from it in numerous ways. I also genuinely appreciate the work you all continue to do and look forward to getting my hands on a copy of the THGNT. 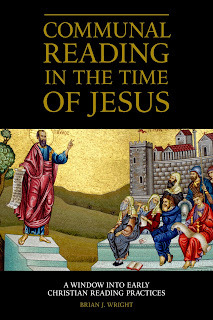 In my new work on communal reading, I’m essentially asking, “Who was reading what in the first century AD, and where?” The main reason I’m asking this question is because over the past few decades various scholars have argued for or against certain “quality controls” that must have been in place—consciously or unconsciously—in order to account for the transmission of the earliest Jesus movement (eyewitnesses, communal memory, memorization, performance, etc.). By successfully identifying one or more of these controls, it is thought, one can better account for the similarities and differences between the various Christian traditions, get closer to the earliest sources of the nascent Jesus movement, and ultimately understand the historical Jesus more accurately. The problem, as I see it, is that the entire subject of communal reading events and their role in controlling literary traditions has been largely neglected in early Christian studies. Academic literature even hinting at the fact that communal reading events were a means of controlling literary traditions is sporadic and implicit at best—often centuries removed from the traditions’ inception. By asking the question I mentioned above, we can begin to answer the first of a series of important historical questions regarding communal reading events in the first century, namely, what evidence exists that would suggest that they were a widespread phenomenon? I ultimately argue that communal reading events were already a prevailing practice over a wide geographic range in the first century CE, and that these events acted as a conserving force over the transmission of literary traditions. For readers of this blog, let me briefly mention just one important aspect that might not be immediately evident from the title and that I will not be covering specifically in my different presentations on various aspects of my book at the annual conferences next month (i.e., one at ETS, one at IBR, and two at SBL). I document and discuss various comments made by first-century authors regarding manuscripts they hear, read, excerpt from, or examine. Based on their comments, it seems to me that more people in the world of the ancient biblical scribes and translators did care about consistency, and the aspiration for consistency was not merely an invention of later centuries. I’ll summarize just a few of the sorts of remarks here to illustrate my point. Some first-century authors mention their community getting angry and throwing away manuscripts they receive to read because they contain mistakes. Other first-century authors write at length about textual differences, such as changes to earlier manuscripts and spelling differences between them, in order to highlight a quality control they think should be in place when audiences hear poets read their works. Still other first-century authors mention posting their communal readings publicly so others can read and verify the content, and/or they write about making corrections to manuscripts during readings. Even in spite of the radical suppression of literature at certain times during the first century, such as the exiles, book burnings, and bans during the reign of Domitian, there was still a “vast flood of literature,” to use one of Petronius’s phrases; “thousands who recite,” as Epictetus states; and opportunities for “advertising your abilities” before “a multitude of fans” at communal reading events, according to Seneca the Younger and Martial, respectively. As I now see the evidence, the prevalence of literary works, activities associated with them, and more kinds of quality controls embedded in literary traditions in the first century CE suggests a world carefully shaped and controlled by a book culture typified by commonly held, albeit highly diverse, communal reading events. 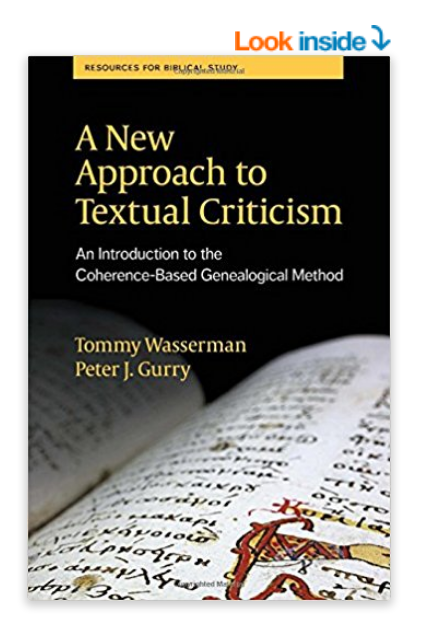 I believe the implications this will have on many other disciplines and subdisciplines, such as canonicity, NT textual criticism, orality, social identity, and performance criticism, are wide-ranging. That said, perhaps I should conclude with a first-century quote: “One thing remains: please be equally honest about telling me if you think there are any additions, alterations, or omissions to be made. […] It is more likely to be long-lived the more I can attain to truth and beauty and accuracy in detail” (Pliny, Letters 3.10.5–6). 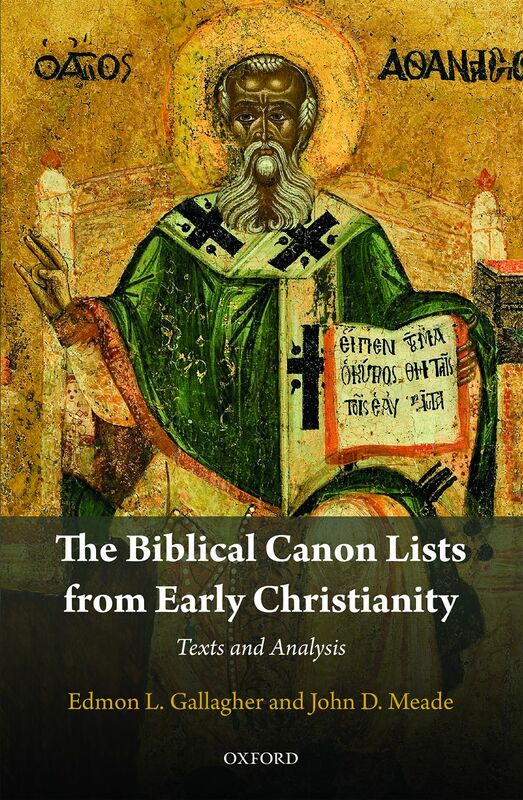 The Biblical Canon Lists from Early Christianity: Texts and Analysis (OUP) by yours truly and Ed Gallagher releases in the UK this week (see the preview on Google Books here; see Amazon UK here; see Amazon USA here). It will be available on the tables at SBL in Boston, MA, and it will release in the USA on Jan. 2. What is the relevance of this book for canon studies? The biblical canon of the Old and New Testament was formed over centuries. There were many Jewish “scriptures” or sacred writings of inviolable authority as shown from the MSS from Qumran and the deuterocanonical literature from Palestine and Alexandria. Even significant works such as the Didache or the Shepherd of Hermas reveal the early impulse for Christian literary output. Answers vary for how and why the churches settled on the same core Jewish canon with variation at the edges (N.B. the differences between the modern HB/OT Jewish, Protestant, Catholic, and Orthodox canons). Furthermore, the answers differ over the formation of the twenty-seven-book NT canon. These questions focus on the quantity and the quality of our evidence. 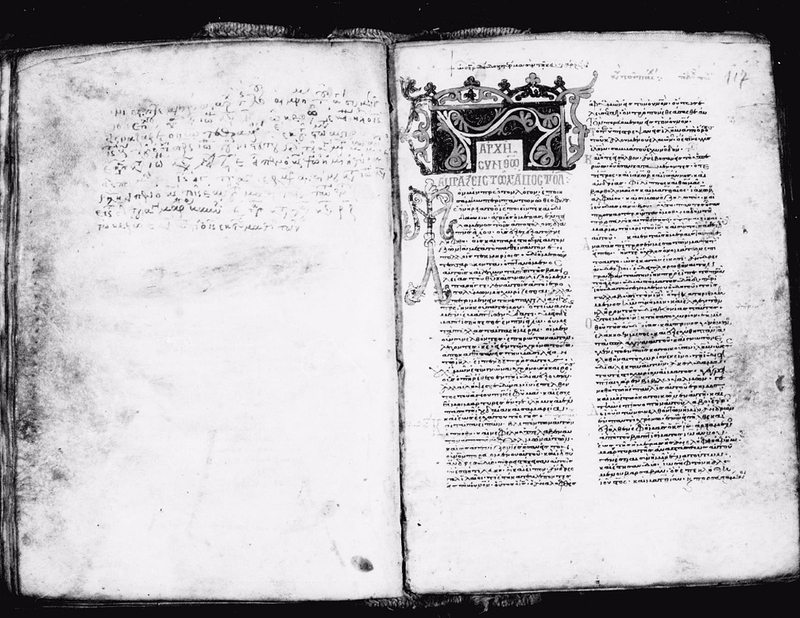 Scholars have noted the variegated nature of the evidence for the biblical canon. What do we learn from MSS (e.g. Dead Sea Scrolls; Christian codices), citations of religious literature (e.g. early Christian usage of the Shepherd), ancient translations (e.g. Greek translation of the Hebrew scriptures), ancient notices (e.g. “The Law and the Prophets”), and canon lists? Thus, a book on canon lists will necessarily not tell the whole history of the canon, but we suggest that the various, early lists provide the most specific information about the ancients’s canon. Your SBL Boston 2017 experience will not be complete without the annual ETC blog dinner, which will take place at 7:30pm Mon 20 Nov at the Hard Rock Café. Please purchase your ticket online ASAP. Pre-purchase guarantees group seating, a special rate ($28.11) and protects the organizer (me!) from losing a deposit. Everyone is invited. You need not be an evangelical, a text critic or as dashing as Peter Williams to attend. It is now possible to order my and Peter Gurry’s introduction to the CBGM from the SBL website or from Amazon. 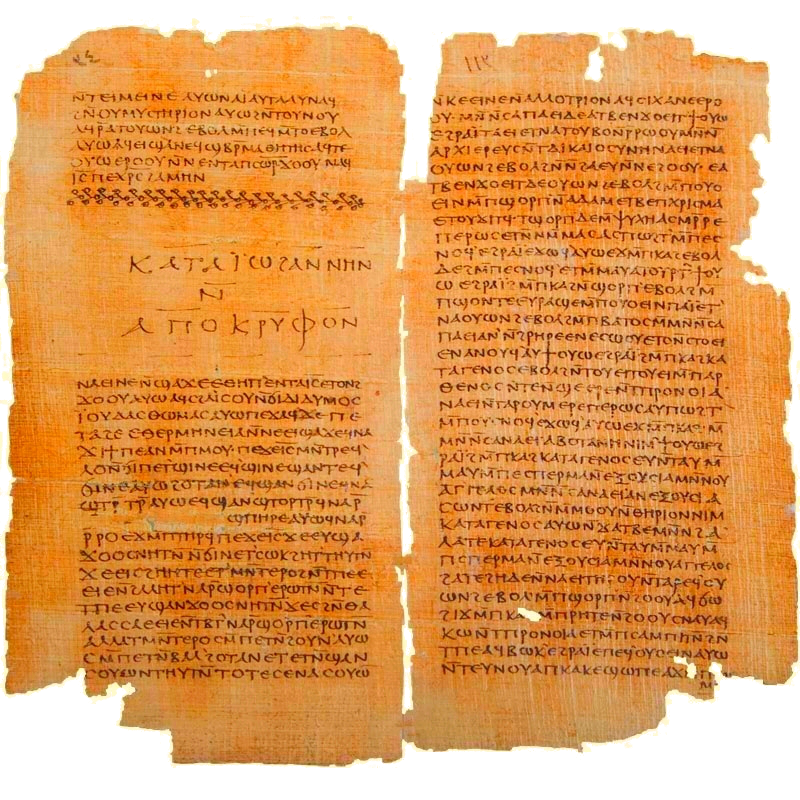 With the publication of the widely used twenty-eighth edition of Nestle-Aland’s Novum Testamentum Graece and the fifth edition of the United Bible Society Greek New Testament, a computer-assisted method known as the Coherence-Based Genealogical Method (CBGM) was used for the first time to determine the most valuable witnesses and establish the initial text. This book offers the first full-length, student-friendly introduction to this important new method. After setting out the method’s history, separate chapters clarify its key concepts such as genealogical coherence, textual flow diagrams, and the global stemma. Examples from across the New Testament are used to show how the method works in practice. 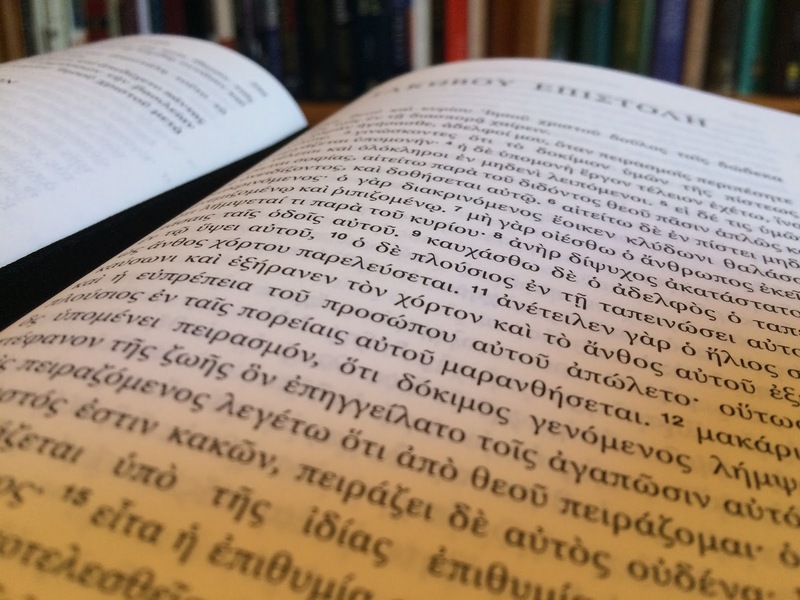 The result is an essential introduction that will be of interest to students, translators, commentators, and anyone else who studies the Greek New Testament. Tommy Wasserman is Professor of Biblical Studies at Ansgar Teologiske Høgskole, Kristiansand, Norway. He is secretary of the International Greek New Testament Project, serves on the board of the Centre for the Study of New Testament Manuscripts, and has started projects on manuscript transcription and manuscript forgeries for the Museum of the Bible. He is Associate Editor of TC: A Journal of Biblical Textual Criticism. Wasserman has authored and edited several books including The Epistle of Jude: Its Text and Transmission (2006) and Studies in Isaiah: History, Theology and Reception (2017). Peter J. Gurry is Assistant Professor of New Testament at Phoenix Seminary. He has worked with the Center for the Study of New Testament Manuscripts and the Museum of the Bible to both preserve and publish New Testament manuscripts. This is Resources for Biblical Study 80. Download a printable standing order sheet to see other available volumes in the series and to give to your librarian to set up a standing order. View the hardcover edition of this title. For those of you who have been lying awake all night, lamenting your ignorance of the Coptic language, the solution is at hand. I will be teaching a two-week intensive introduction to Sahidic Coptic in English 12–24 February 2018 at the Kirchliche Hochschule Wuppertal/Bethel. During the first six-day session, students will rapidly encounter the basics of grammar and vocabulary, while the second six-day series will survey texts from the Coptic Bible and Nag Hammadi corpus. Students should arrive Sunday 11 February with at least the first 98 words from Metzger’s Coptic word list memorized (preferably through 205; digital flashcards available) and a master of the first three Chapters of Layton’s grammar Coptic in 20 Lessons (preferably through chapter ten). The experience will not replace a proper Coptic course, but instead augments self-learning, offering students a brief overview of the language as well as some of the cardinal issues relevant to early Christianity and textual criticism. 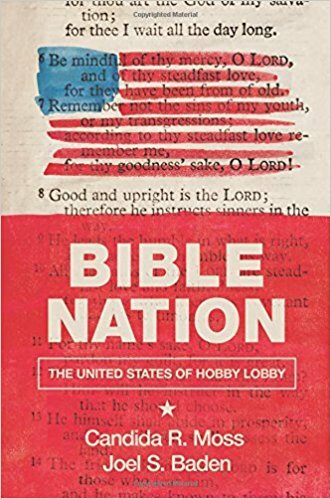 Over the weekend I managed to read the new book by Candida Moss and Joel Baden called Bible Nation: the United States of Hobby Lobby. 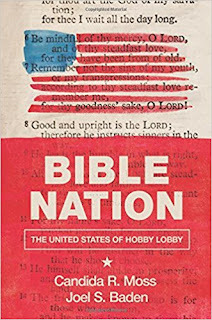 The book is an attempt to understand the motivations and actions of the Green family in relation to their plans for collecting Bible manuscripts, the Museum of the Bible, the Scholars Initiative, and the school curriculum they have designed. In general I found it readable and interesting, helpful for getting a perspective on some of the story and people involved (although I didn’t learn much that was new except for some details about tax deductions for charitable donations); it is, however, not very well informed on matters relating to manuscripts, papyrology, and evangelical theology (once accusing the Greens of subscribing to the prosperity gospel). It is also badly out of date. The whole discussion of the court case involving Cuneiform tablets announced in early July 2017 (see for example here) is treated on the basis of what was known in 2015 (which, to be fair, the authors had announced in articles published around that time). They adopt a quasi-journalistic tone, but don’t always pull it off (e.g. Brent Nongbri is described as ‘the eminent New Testament scholar’; Christian Askeland as ‘a well known papyrologist’). They seem to like Mike Holmes (who is basically a genius) but not get on so well with David Trobisch (‘a stocky man, who sports the standard academic uniform of slightly ill-fitting suits and goatee’); they are impressed by all the members of the Green family they meet, but obviously don’t like their theology or their politics. They hear a broad narrative that the Green Collection started and grew so rapidly that some corners seem to have been cut, while much higher standards of professional and curatorial behaviour are currently being followed. But they wonder about whether this is so when the collection does not seem to be very forthcoming on issues of (dodgy) provenance of some items in the collection. One massive problem is that they haven’t seen the Museum of the Bible, which opens next month, which they describe on the basis of a walk through the building site; and they have apparently not had first hand experience of any of the Scholars Initiative activities.